The central province plans to introduce the language of the Cor ethnic group in the primary school curriculum in Nam Tra My and Bac Tra My districts. The two districts have the largest populations of the ethnic group in the country. The provincial ethnic board said almost all written languages of ethnic groups in the province had disappeared. Researchers from the Vietnam Institute for Lexicographic and Encyclopaedic Dictionary revived the language of the group by completing a study project on the alphabets and then compiling a textbook of the Cor language. The department of science and technology in collaboration with agencies in the province will begin printing textbooks and teaching documents for introducing the language in primary schools in the two districts. There are 33,000 Cor people living in Quang Ngai, Quang Nam and Kon Tum. Quang Nam is home to 5,300 Cor people. 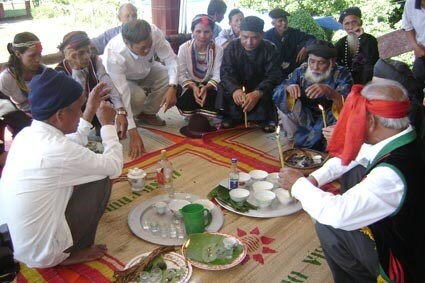 The Cor language is seen as the second language that has been revived in the province after the language of the Co Tu people. The province has 11 ethnic groups living in six mountainous districts, among which Co Tu people have the largest population, totalling 45,000.